Often for analytical or archival purposes, one would need to move data from PostgreSQL to Amazon Redshift. This post covers the detailed steps you need to follow to migrate data from Postgres to Redshift for building a data warehousing solution. PostgreSQL is an open source object-relational database system that uses and extends the SQL language combined with many features that safely store and scale the most complicated data workloads. It works as a traditional OLTP database. Amazon Redshift is a fully managed database optimized for data warehousing. If your objective is to build a scalable OLAP system then you can choose Redshift. It is based on PostgreSQL 8.0.2. Amazon Redshift being a columnar database supports scalable architecture and multi-node processing. As it is offered on Amazon cloud computing platform, there is no initial setup effort required and users can get started in minutes by using simple API calls or the AWS Management Console. Method 2: Write Custom ETL Scripts to move data from PostgreSQL to Amazon Redshift. In this article, we are going to describe Method 2 in detail along with its limitations and challenges. 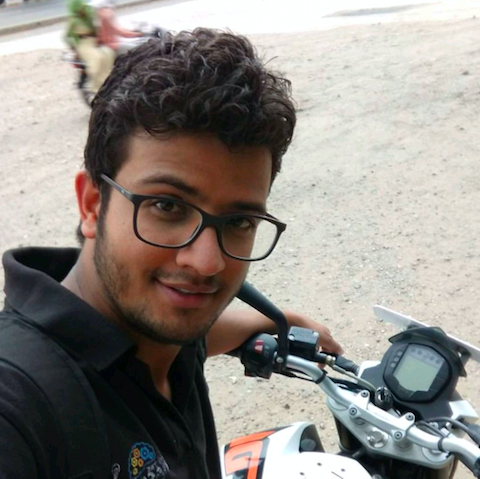 Towards the end of this article, we have also compared method 1 (Using Hevo Data Integration Platform) and Method 2 (Custom ETL Script). The first step of this migration is to keep your target database ready by building a Redshift compatible schema. Postgres’s table definition is stored in the information_schema.tables and column definition stored in information_schema.columns. Redshift’s column types differ slightly from Postgres and a few of them are not supported. You will have to convert the above data types into Redshift compatible types first. Redshift makes use of Sort key and Distribution key to achieve performance gain. It is very important to choose these keys wisely at the time of table creation. With Sort Keys, you can configure the column on which sorting needs to be applied upon storing in Redshift. Distribution key is used to distribute data across multiple nodes based on the values of a particular column. You can read more about choosing Amazon Redshift sort keys and Amazon Redshift distribution keys here. Note that the maximum character length supported by Redshift is 65535 hence any field larger than that (e.g. text) will need to be truncated/ split across multiple columns. The best way to load a large amount of data to Redshift table is to use a COPY command. Using COPY command, you can load data from various sources like Amazon S3, Amazon EMR, and Remote Host(SSH). The most commonly used source for COPY command is Amazon S3 as it offers the best performance by loading multiple data files in parallel. You can zip the data files for maximum performance since Redshift gives an option to directly import zipped files. Now the next step is to upload these files to Amazon S3 bucket. It can be done either manually from AWS Console or by using Amazon CLI. The AWS Command Line Interface (CLI) is a unified tool to manage your AWS services. With just one tool to download and configure, you can control multiple AWS services from the command line and automate them through scripts. To install AWS CLI on your machine you can refer to AWS documentation. Post setup of AWS CLI on your machine, you can use CP command to copy data from your local machine to S3 bucket. Below command uploads customer_data.csv.gzip into a folder “my_folder” which is located inside an S3 bucket named as “my_s3_bucket”. By now, your data files that are to be imported are ready in S3. The final step is to load this data into Redshift target table. COPY command inserts the data from a file to a table. An important thing to note is that if the table is not empty then it will simply append the new records without changing the existing ones. So, the best approach is to load the data from the file into a temporary table and then inserting into final target table using insert into command. With this approach, you can easily handle situations where you want to upsert records instead of appending them. Below SQL will create a temporary table named “TEMP_CUSTOMERS” in Redshift. Temporary tables are valid for a session in which they are created and will be auto-dropped once the session is over. The following command creates a temporary customer table. Now that you have data in Redshift temporary table, you can simply execute an insert query to load this into the final target table. Loading data into a temporary table first instead of directly inserting it into the target table helps in data validation. An important thing to note while using COPY command is to handle NULLS. You can specify which character in your data file should be mapped as NULL in Redshift table. If NULL values are stored as blank in your data file then you use EMPTYASNULL option in COPY command to convert blank values into NULL values. Any errors while loading the data can be checked in the STL_LOAD_ERRORS table in Redshift. The table gives you the row that was being loaded and the associated error like column length exceeded, inserting text to a number field, etc. The Custom ETL Script method works well only if you have to move data only once or in batches from PostgreSQL to Amazon Redshift. The Custom ETL Script method also fails when you have to move data in near real-time from PostgreSQL to Redshift. A more optimal way is to move incremental data between two syncs from Postgres to Redshift instead of full load. This method is called Change Data Capture method. When you write custom SQL scripts to extract a subset of data often those scripts break as the source schema keeps changing or evolving. These challenges have an impact on ensuring that you have consistent and accurate data available in your Redshift in near Real-Time. To address the problems you may try an alternative method which takes care of all the issues described above. You can simply connect your source and destination and move data instantly without writing any code. You can explore the product features here. Feel free to compare the two methods of replicating data from PostgreSQL to Amazon Redshift and select the one that meets your needs. 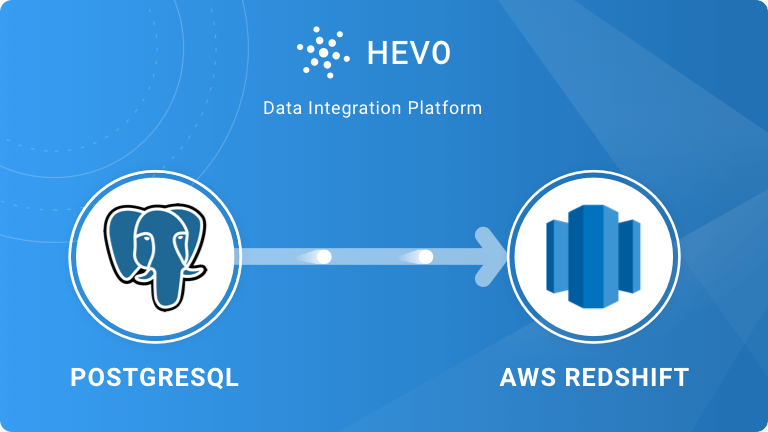 Hevo offers a 7 Day Free Trial for you to experience how easy it is to use a Data Integration Platform to move data from any source to destination. 2) Why we are not using DMS to migrate the data from PostgreSQL to Redshift?